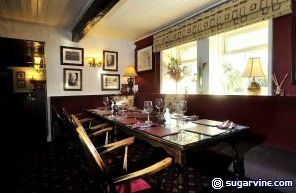 Award-winning country pub and restaurant with a great location in the heart of Bronte country. 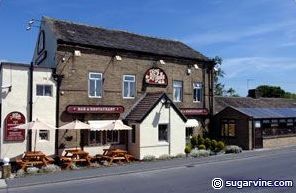 The Ring O'Bells Country Pub and Restaurant is set in one of the finest locations in Yorkshire â€“ high above the village of Thornton, birthplace of the Bronte sisters, and it enjoys great views out over the Pennines. The building was once a Wesleyan chapel and the bar dining area still has the original oak panelling and beams. Over the course of the past two decades, owners Ann and Clive Preston have transformed this country pub into of Yorkshire's top dining venues picking up numerous awards and accolades along the way. Everything on the menu is sourced locally and served fresh to order by a team of award-winning chefs. They produce a range of menus that offer both British traditional and creative dishes and a special board reflects the best of local game, meat and fish. And the wine list is both comprehensive and competitively priced. 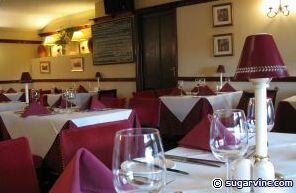 So whether you are looking for a table for two or a party of 50 the Ring O'Bells can cater for all your needs, including special dietary requirements. I used to be a fairly regular customer of Ring O'Bells and happily recommended it to others but would never do so again following a terrible experience there. I ordered a vegetarian main course and did not like it. When asked if I was enjoying my meal, I discretely said no to the waitress and requested an alternative meal. At this point the owner/manageress came out and announced loudly to the entire room how her 'award winning chefs' could never produce something that tasted awful. She said she herself tasted everything and would never put something on the menu that wasn't given her seal of approval. Her manner and attitude were dreadful and I felt humiliated. By the time my replacement meal arrived (a basic rehash of the same ingredients) my husband had already finished his meal and had to sit and wait for me. All in all, totally dreadful, awful customer service, meal and experience. Lovely place, great food. Had the early bird menu 12.95 for 3 courses between 5.30 - 6.30pm. You get choice of about 4/5 starters, mains and puds. All VERY nice indeed. Good, wholesome freshly prepared food. Children's menu also very good - proper chicken nuggets, fresh fish, small size roast etc no rubbish/frozen manufactured food. Would highly recommend. I LOVE this place and eat here very regularly having the good fortune to live quite close by. The food is cooked by award winning chefs and their pies are legendary. 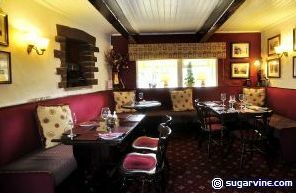 Best to choose from the specials board for really unusual fare and true specialities and the atmosphere is always better in the bar section than in the restaurant area which can seem a little cold and dull when not at its busiest. Guess the smokers are more of a rowdy lot! I would recommend this restaurant for any occasion. I have only visited the Ring O' Bells on one occasion and this was with my wife and daughter.The premises are first class, very clean and well decorated. You have a choice of eating either in the bar area or the restaurant. We chose the restaurant because it is no smoking. We had a fairly good choice of the menu between the three of us and found the food to be good but not as good as we had been led to beleive that it was. We also found it to be quite expensive. The house wine, we felt, was also rather on the expensive side. The staff were very efficient and courteous. You would not be disappointed in a visit. There is ample parking.